This week we’ve had a bit of a mixed week. M’s teething turned out to (probably) not be teething at all, but rather a cold instead. I appear to have also come down with said cold so we’ve split the week into random days lazing about the house and others where we’ve managed to get out and then not stopped! We’ve been to our usual toddler classes, but I’ve also been busy scouting out and buying crafty bits for M and I to work on for my Pondering Playtime series, so that we can get some exciting things done and scheduled before M’s little sister makes an appearance! 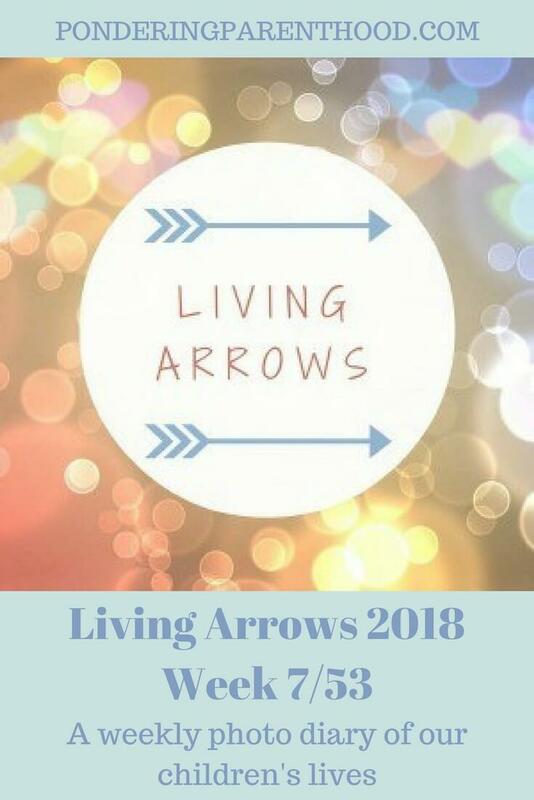 I’ve also been busy setting up an Early Years craft and sensory play-based activity group on Facebook with my friend Leslie from Messy Blog UK. So if that sounds like something you might be interested in, then do come and join us! Anyway, enough about me, this is supposed to be about M! She’s been coping really well with her cold actually, although over the weekend she seems to have developed a rather rattly cough, so I’ll be keeping an eye on that this week and taking her to the doctor if it doesn’t improve. It’s so hard to know when to take them to the GP, isn’t it? I always worry that I’ll look like a hypochondriac and think it’s so important not to needlessly take up NHS resources, but at the same time, I don’t want to be a neglectful parent! For the moment, Calpol and Calpol plug ins are serving us well, and we’ll see how she goes! 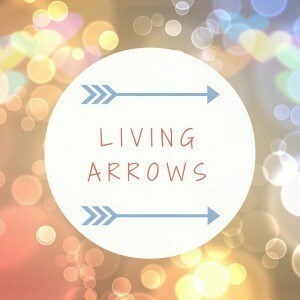 This week’s Living Arrows photograph was taken on Saturday. 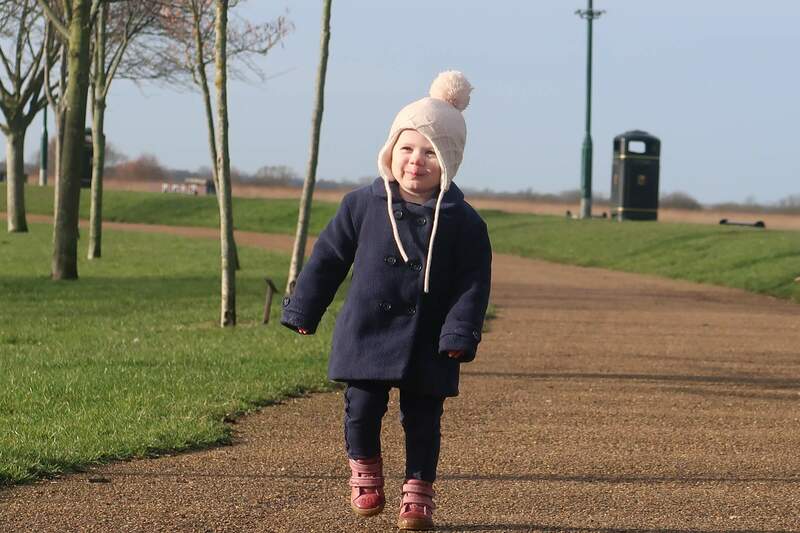 M has been waking up far too early for my liking (just after 6am most mornings), so we decided to take advantage of the decent morning weather forecast and get ourselves out to Oulton Broad for a little walk. It was bitterly cold, but the sun was shining, which made it considerably more pleasant! I think this was the first time that we actually left the pushchair in the car and allowed M to just walk the whole time. She had mixed success – it was really icy and muddy in places so I think she could have benefited from having her wellies on rather than her boots (these are gorgeously snuggly inside though, and I thought warm feet should be the priority!). Unfortunately she fell over a few times and coupled with her cold, it was all a bit too much for her! We’re now looking forward to a week of having Daddy at home as it’s half term! Yippee! What are your plans this half term? Thank you, it’s still hanging around – just have to let it run its course! Aww I lover her little bobble hat. I hope she’s now starting to feel better. We were really worried about getting her to wear a hat as she completely refused a hat all summer, but she loves this one! And it was a total bargain from H&M!